Over the 11 years during which the World Bank has compiled its Doing Business ratings, Russia has never been named among the 100 countries with favorable conditions for small and medium-sized businesses. Federal agencies and the Moscow government are now determined to change this. In mid-July a Russian delegation held consultations with the World Bank on ways of improving the rating of Russia in the Doing Business rating. Representatives from the Federal Tax Service, the Federal State Service of Registration, Inventory and Mapping (Rosreestr), the Ministry of Economic Development, the Agency for Strategic Initiatives, and the government of Moscow City provided analysts from the World Bank with up-to-date information on the state of affairs in Moscow, as well as suggestions for adjusting the ratings’ methodology. Last year Russia ranked 112th among 185 countries with favorable conditions for small and medium-sized businesses. This year the authorities are determined to get the country into the top 100. "We held discussions on five indicators: registering property, obtaining construction permits, the ease of conducting international trade, paying taxes, and connecting to the electrical grid," the head of the Moscow Department for Coordination of Economic Policy and Development Mikhail Pryаdilnikоv told RBTH. "Last year we decreased the time and significantly reduced the number of bureaucratic procedures that new entrepreneurs have to face." According to the World Bank, last year it was necessary to process about 10 applications and wait 281 days to connect a building to the electricity grid in Moscow. According to Pryadilnikov this year the bulk of obstacles to be overcome has been slashed in half, to 146 days and four applications, and the electricity connection cost is less than one tenth of what it used to be. "Last year it cost 5.5 million rubles, and now about 426,000 rubles". 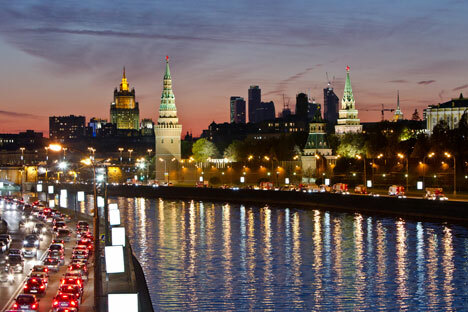 According to the Moscow city government, the situation in the Russian capital has also improved markedly. Registering property with Rosreestr now takes 22-25 days (and not 44 days, as it did last year). The process of obtaining a construction permit has also become easier. According to the World Bank, two years ago 42 applications needed to be processed to obtain the various required permits, while now the number of permits for a typical structure has been reduced to 12. The processing time has gone down from 344 days to 152. The most important positive changes affected mainly small and medium-size businesses, as emphasized Mikhail Pryadilnikov: "We simplified the procedure for supporting small businesses and made it more transparent. We also significantly decreased the administrative barriers for companies with innovative projects. A large number of grants have been given out, new infrastructure has been built in the city, and new techno-parks and techno-cities have been opened. We also reduced the administrative delays in government. If we concentrate our efforts, we can decrease the number of delays and costs for certain procedures. For business, the number of delays before being able to open is critical." The situation in Moscow is what affects Russia's position in the rating the most. Since 2010, Moscow has risen in the ratings by 8 places. The capital is traditionally an attractive place for business. Almost all the U.S. companies listed by Forbes in its Fortune 500 list have representatives here. The amount of foreign investment in 2012 rose by 6 percent to US$4.2 billion, which is 23 percent of all direct foreign investment in Russia. Yet, the city is just barely in the top thirty in the latest Russian rating of cities favorable for doing business, as acknowledged by Pryadilnikov. Russia hopes to improve its position in the Doing Business rating is by getting the World Bank analysts to consider how areas outside Moscow perform in relation to the indicators used in the the rating. “Different regions in Russia actually do have different environments when it comes to “doing business” climate," according to a representative from Moscow city government, "and so one of our proposals to the World Bank was to adjust its methodology by including several key regions into the ratings system so that Russia's rating would be more balanced." The representative says that the ratings methodology may be adjusted already by next year: “The head economist of the World Bank heard us and completely agreed that for large countries such as Russia, Brazil, and China they will take into consideration indicators from several regions. This will help to generate a more accurate rating."